Home » Posts » Blogs » What is the cost of LASIK laser eye surgery? What is the cost of LASIK laser eye surgery? One of the most important issues, if not THE most, for potential clients at Advanced Vision Care is the question of how much LASIK laser eye surgery costs. This is understandable and with so many competitors offering cheap prices and special deals, it’s also a concern that we share. That’s because at Advanced Vision Care, we appreciate that we may not be the cheapest provider of LASIK eye surgery but we are the BEST! We can confidently make this claim because more than 98% of our patients go on to give us 5 stars for their treatment and care. Not all clinics can boast of such a high rate of patient approval. 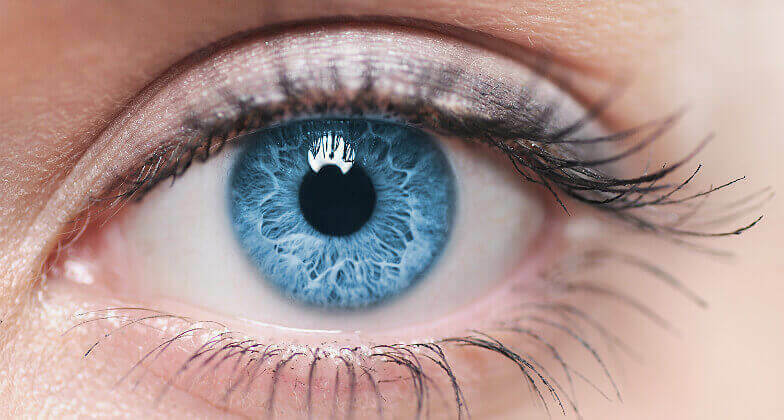 It’s also worth bearing in mind that our laser eye surgeons are recognised experts who have been at the forefront of vision correction treatments for more than 25 years. Indeed, many of our surgeons are recognised on a worldwide level for their surgical skills in laser eye surgery, including intraocular lens surgery and other non-laser eye treatments. In addition, Advanced Vision Care aims to provide the best possible treatment available and to do that we use the latest laser eye surgery technology because with our surgical expertise and unbeatable levels of patient care, we have become a natural choice for those looking for the best treatment possible. That means we use Wavefront technology to map exactly the patient’s eye so we can then use the incredible bladeless technology at our disposal to cut a flap into the eye to carry out our work. This bladeless method ( INTRALASE ) means that the procedure is not only quick and pain-free but also helps shorten the eye’s recovery time. Understanding that Advanced Vision Care provides the best corrective eye surgery that money can buy will help you understand why our charges may be higher than some of our competitors. Is it worth having Lasik eye surgery? We don’t hide behind jargon or false promises; we are upfront about potential costs and what the laser eye surgery will entail – and remember, each of our surgical operations is tailored to every patient’s own needs and requirements. In addition, we believe in offering an honest service that doesn’t use ‘cheap’ prices to entice people through our doors and then hit them with a different price after the initial laser eye surgery consultation. We do not approve of this sort of upselling from some of our competitors and will never use a low price for eye surgery as ‘bait’ to attract patients. Our reputation for offering the very best in laser eye surgery goes before us and we are proud that the prices we quote are comprehensive and include the offer of a lifetime of care and commitment from us. Ask your clinic about their aftercare programme and costs and then compare our service. That’s why we are confident that Advanced Vision Care offers the very best laser eye surgery available at affordable prices – and for those who want to use us we offer a flexible interest free finance scheme to help pay for our care and expertise. We appreciate that your eyes are special and that you should not base any decision on what type of laser eye surgery you may need or, indeed, where the surgery should be carried on price alone. However, it should be noted that while we are not the cheapest of laser eye surgery clinics, we are also not the most expensive either. And this is despite providing world-renowned refractive surgeons and their years of expertise who will work to a bespoke operating plan. Ultimately, our entire endeavour is to provide a first class service which will impress from the first initial consultation, through to the operation itself and to our faultless after-care programme. Are they conducting experimental procedures, for instance? If the patient is turned down for laser eye surgery, are they given a proper explanation of why? This is particularly important if one clinic has said yes to undertaking a procedure and we then dispute their decision because we need the patient to appreciate why we have come to a different clinical conclusion. Patient care and maintaining a very high surgical success rate means we will not take unnecessary risks. AVC prides itself on its honesty and ethics when it comes to quoting for the costs of surgery and, we are pleased, to say that many of the people we turn away for surgery are often the ones who refer others to us for honest appraisal of their surgical prospects. How many other clinics can really say the same? Indeed, we are open about the prices we charge for our laser eye surgery and urge you to visit our prices page to discover for yourself the top class service we provide. If you would like to find out more about Laser Eye Surgery at Advanced Vision Care, our world renowned surgeons, our cutting edge technology or our prices, then why not call AVC TODAY on 0800 652 4878 to find out how we can help you.